Chrome effect robust flashdrive, USB is stored inside the body and accessed by a pull and turn mechanism. 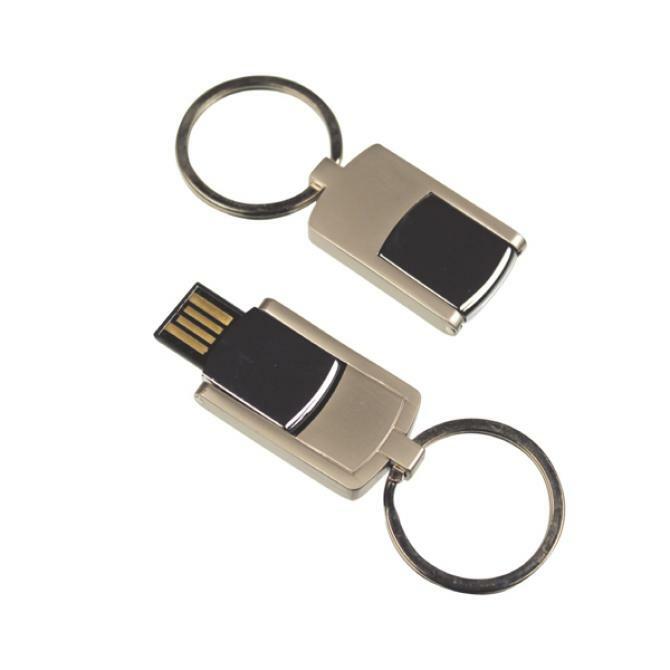 A small yet stylish flashdrive with large keyring as standard. Leadtime: 14 Working days from proof approval.